What does it truly take to turn a house into a home? A home is a made up of the persons who occupy it, their beliefs and values, the magic of everyday living, and the items that occupants hold most hold dear. What’s more, a home can reflect who we truly are inside. A home mirrors what is important to us, how we navigate our relationships, and the way that we see ourselves. Explore these concepts as a mother & daughter pair throughout all of 2019. Each month, our age-appropriate discussion will focus on a particular room of a house and its deeper meaning–ex: the living room as representative of our social circle, the bedroom how we choose to take care of ourselves. We will invite questions for mothers and daughters to explore together–to help deepen their relationships with themselves, each other, and the home they share. Conversations will also casually, and occasionally, dip into the age-appropriate exploration of Family and Consumer Science, formerly known as ‘Home Economics’. To hasten the learning and build a bit of creative fun into the process, participants will sculpt miniature furniture and accessories for each room that we explore. Salt dough is an easy to use, durable, and environmentally-friendly medium and will be our material of choice for the entire year. 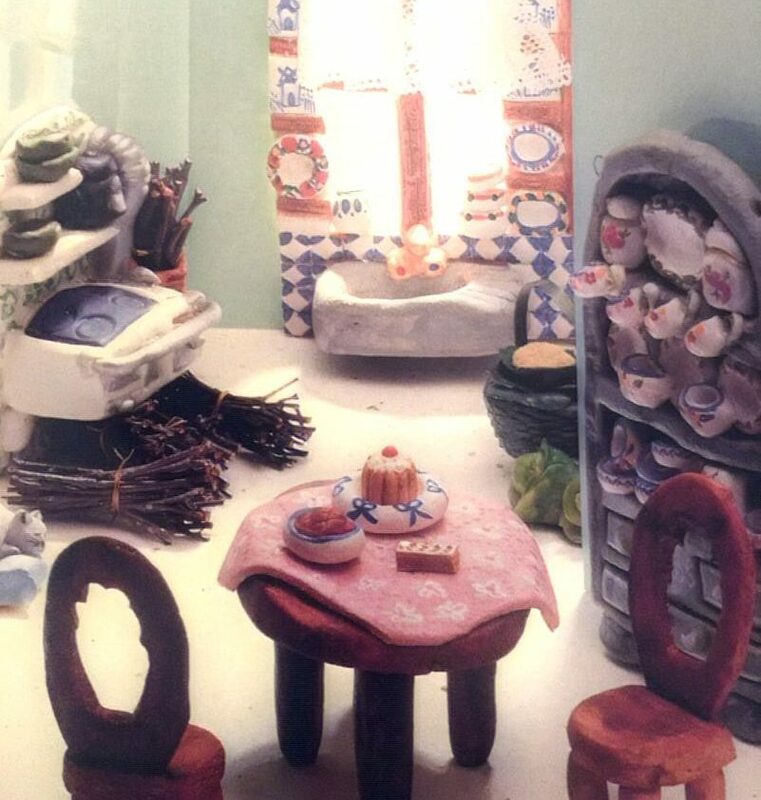 As 2019 draws to a close, mother and daughter will have a complete set of dollhouse furniture to place into their own handmade home.